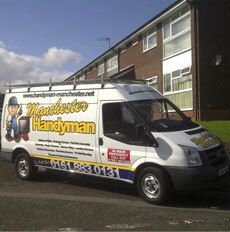 Handyman Manchester offers drainage services from roof/land surface water and foul from toilet to dishwasher. We can unblock your general sink blockages and your larger manhole blockages which require HPW jetting. Our drainage services engineers are fully trained and accredited in confined space training to City and Guilds standard and have also received external training and hold competancy certificates issued under the Water Jetting Association. At Manchester Handyman we have 15 years experience working within the water industry and we feel we can offer a unique service to cater for all your drainage requirements at a fraction of the price of a specialised drainage services consultant.